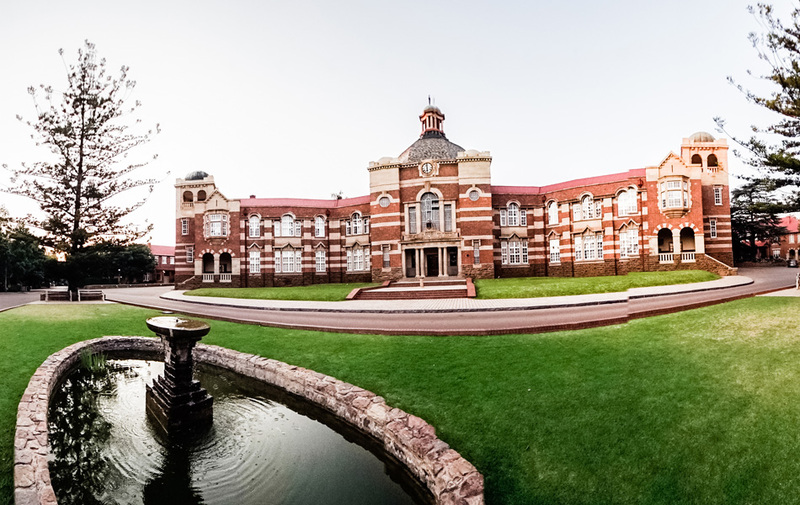 Pretoria Boys High School was established on its present premises in 1909. PBHS is an academic school with the majority of our pupils following a university entrance course. We believe in striving for excellence in all endeavours that we undertake and this carries through to our pupils. As ambassadors of our school they are expected to maintain the highest standards of behaviour and appearance. 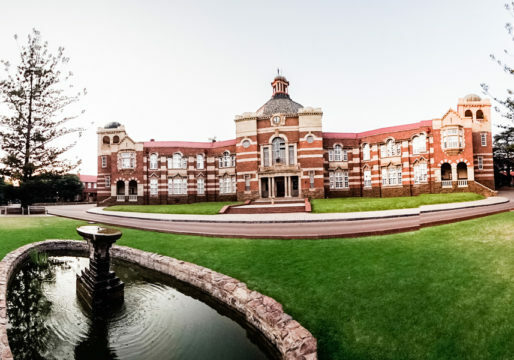 PBHS is a public school run under the auspices of the National Department of Education and provincially under the Gauteng Department of Education. Approximately half of our staff is state employed whilst the balance of our staff is employed through the funding we raise via school fees. PBHS is an English-medium school and as such pupils are admitted based partly on their proficiency in this language. The school is governed by a Governing Body elected by the parents. This means that the school community is responsible for the entire upkeep and running costs of the school, while the State pays the salaries of a prescribed number of staff, academic and non-academic. 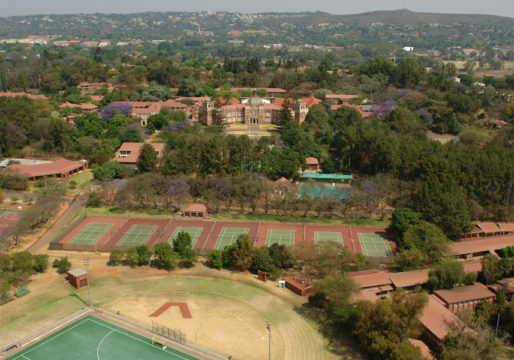 The school caters for +/- 1540 boys, +/- 345 of whom are in boarding, from Form I-V.
Pretoria Boys High School is a traditional boys school situated on an 85 acre campus to the south-east of the city centre. With origins that can be tracked backed to 1901, it is one of the oldest schools in the province. Enrollment of around 1500 pupils make it the largest boys’ school in South Africa. The school prides itself on maintaining high standards and an ethos of a holistic education based on the pillars of a full academic, cultural and sporting programme. Boys High is a public school with additional funding provided through school fees payable by parents. 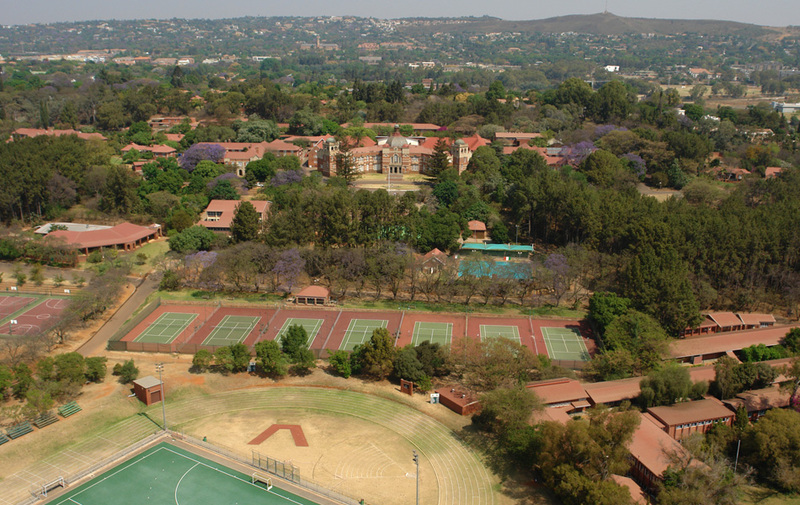 Three boarding houses provide accommodation for over 300 pupils. If you lost or damaged your original matric certificate, you must apply for replacement at the Department of Basic Education (DBE) or Provincial Education Department (PED) by completing the Replacement application form. You can request for the statement of results while waiting for the issue of your certificate. If the certificate is damaged, you must return the damaged certificate to the Department of Basic Education (DBE) or Provincial Education Department (PED). Pay the prescribed fee by postal order at the Post Office, cash at DBE / PED office or by cheque. It takes between four to six weeks for a Replacement certificate to be issued (for records on the system). You can obtain your statement of results immediately. For records not on the system, it will take longer as records needs to be retrieved from the Archives and loaded on the system. Statement of results: additional R45.00. These fees are valid from 01 April 2018 until 31 March 2019. It takes four to six weeks for Replacement certificate: change of status. The combination statement of results is obtainable immediately. It will cost you R107.00 for the Replacement certificate, and if you want a statement of results, it will cost you an additional R45.00. These fees are valid from 01 April 2018 until 31 March 2019. To set an example for your son to follow, particularly with regard to spiritual and moral values, respect of others, awareness of ethical values and the development of responsibility for the consequences of personal conduct; to identify potential areas of concern, and in concert with the family, attempt to resolve them. To encourage your son to achieve their potential by striving for realistic and achievable goals. All boys are expected to involve themselves in every aspect of school life. From Forms I to III there are certain events, both sporting and cultural, that take place during the week and on Saturdays, at which attendance is compulsory. An earnest appeal is made to parents to give the headmaster and the staff their full support in maintaining the discipline, dignity, tone and tradition of the school. The school is divided into ten houses, three of which are boarding houses and seven of which are day houses. When a pupil arrives at the school, he is allocated to a day house (unless an immediate relative is a current or past pupil, in which case he is allocated to the relative’s house). Each house has five tutors and a housemaster. The tutor’s function is to monitor the academic progress, extramural involvement and social development of the boys in his or her group. As each boy remains in one house throughout his school career, both the tutors and the housemasters come to know the boys very well. This continuity allows problems to be picked up early and also facilitates the transfer of information about the boys from one year to the next. The school places a very high premium on the boys developing all facets of their personalities. The house system encourages boys who may not be selected for school teams, the opportunity to participate at an inter-house level. Disciplinary problems are also dealt within the house context. If a teacher has a serious issue with a pupil, he refers the pupil to his housemaster who will take corrective action where necessary. This will usually entail contacting the parents of the boy. The support of parents in this regard is invaluable. All new boys will be expected to abide by certain rules and traditions which encourage them to respect those in higher forms and to acknowledge their seniority. It is important for all boys to ensure that visitors are politely greeted and taken care of. After considering each boy’s interests, each Form I boy will be assigned to a matric boy who will be his “mentor”. The relationship benefits both the Form I boy and his mentor. The matric boy takes an interest in his charge’s progress during his Form I year and helps him whenever possible, while the junior is expected to do certain duties for his mentor. A very close relationship frequently develops between the two, which often continues well into adulthood. The proper school uniform must be worn at all times. Summer uniform consists of khaki shorts, short-sleeved khaki shirts, long khaki socks, brown official school shoes, school tie, and grey school jersey. Winter uniform consists of long grey flannels, long-sleeved white shirt, short grey socks, school tie, jersey and shoes as for summer, school blazer, basher (boarders only), and school scarves (may not be worn in class). The acceptable dress code should also be adhered to for all sporting activities. Please note that tracksuit tops, windbreakers etc. may NOT be worn with the school uniform; the green school drimac may be worn in rainy weather only. All personal belongings must be marked clearly with your son’s full name. Text books are issued to pupils free of charge. In the event of a textbook being lost or damaged, the parent will be asked to pay for a replacement copy. Rockercen Stationery has been contracted by the school for the supply of stationery and workbooks. Stationery requirement lists and order forms can be collected from the school’s reception or downloaded from the school’s website. The Stationery Shop will be open each day during second break from the beginning of the first term during January, and thereafter it will be open at second break every Wednesday. Motor vehicles are NOT permitted into the school grounds for the purpose of transporting pupils at the start and close of school. Should a boy wish to leave early, he must have a note from his parents and then obtain an early departure slip from reception. If a boy is ill during school hours, he will be attended to by the nursing sister in the Sanatorium who will contact the parents, if necessary. Please do NOT send your sons to school if they are ill. Unless there is a family emergency, please do NOT telephone the secretary and ask for messages to be relayed to your sons. Appointments with doctors, dentists, etc. must not be made during school hours i.e. from 07:30 – 13:45. N.B. Boys must be at school from the FIRST to the LAST day of each term. If a pupil is absent, please inform the receptionist telephonically AND a note must be handed to his tutor on the morning of his return. Should a boy miss an examination or standard test through illness, he must present a medical certificate from a doctor on his return. Parents should contact the Head of Studies on the day a boy misses an examination or test. The school tuckshops operate at breaks and directly after school. The rugby pavilion tuckshop is open on Saturdays when we host a large sporting fixture. Freshly prepared snacks and refreshments are on sale. A lock-up bicycle shed is provided. However, no responsibility is accepted for the safe custody of bicycles and motorcycles, and it is strongly recommended that you insure these. Bicycles should be locked to a fixed object and should not be fitted with valuable or easily removable gadgets. Boys entering or leaving the grounds should acquaint themselves with the school rules in regard to the use of the different routes within the grounds. As of 1 January 2017, Pretoria Boys High School has taken out a group personal accident policy for all boys of the school that are involved in official school activities and require emergency evacuation and emergency medical treatment. Such activities include any accident that occurs on the school property, or any accident that occurs whilst being transported to (by official school transportation) or taking part in any official school activity outside of the school grounds, such as an excursion, Bush School, sports or cultural fixtures. The policy is designed to enable the school to react timeously and efficiently to an accident and covers transportation to a medical facility and initial emergency costs up to a maximum of R25 000. Thus, it is not meant to replace any medical aid that a parent may have in place, but enables the school to react initially in the unfortunate occurrence of a medical emergency. The cost of this policy is covered in full by the school, and parents will not be expected to contribute in any way. However, it is still the responsibility of parents to ensure that they have adequate cover, medical and otherwise, for their children. Please take note that parents must also insure against any loss of personal items or sporting goods. Cell phones fall into this category. We strongly advise that expensive personal items including cell phones, tablets, laptops, MP3 players etc. are NOT brought to school. 07:30 – 14:00 Monday to Thursday. Click here for school daily timetable. Security arrangements are continually updated and reviewed at the school. All gates are kept locked and parents and visitors must use the East Gate (Roper Street) at all times. The only exception to this rule will be for special sporting and evening occasions, and you will be notified via your son when alternative arrangements are to be made. Access control for ALL students is through the medium of fingerprinting. We appeal to all boys to look after their possessions and not leave their cases and sports bags lying around. While we do everything in our power to prevent thieving (and boys found guilty of this offence can face expulsion), it is unfortunate that this does still occur on rare occasions. There is a kit room available for the safekeeping of sports equipment and tog bags during school hours. The Head of Sport has a key and the prefects open the room directly before and after school. 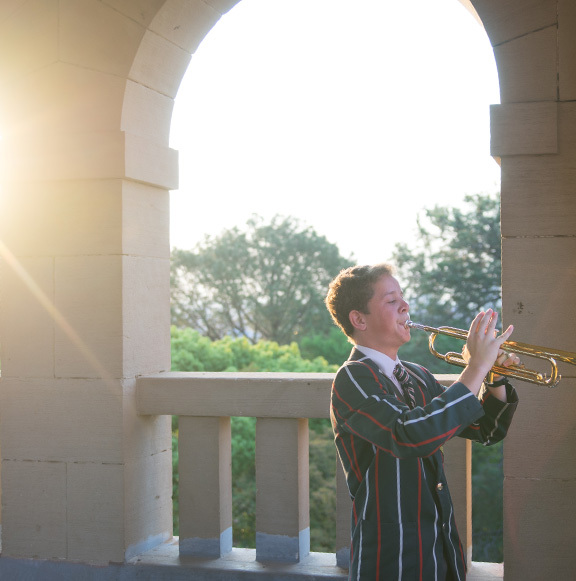 The Mission of the School is to pursue and maintain excellence in all spheres of school life – academic, athletic and cultural – within the South African community. It is the aim of the School to produce gentlemen who are independent thinkers with physical and moral courage, who are articulate, well mannered and respectful, educated in the widest sense of the word, sensitive to the needs of others and dedicated to the service of others and the community as a whole. We believe in the value of a holistic education in which pupils are exposed to and encouraged to participate in the widest range of intellectual, cultural and sporting pursuits, so as to produce a balanced and well-rounded individual. We believe in the worth, dignity and unique character of the individual. We strive to respect the past yet remain relevant for the future. We strive to provide quality, structured, disciplined, intellectual education and training and encourage creativity limited only by the ability of the pupil. We strive to create an environment of mutual respect and understanding to ensure that all feel accepted, safe and happy. We believe that the academic staff of the School should be proficient in the teaching of their subjects, dedicated to the physical and spiritual well-being of the pupils and committed and loyal to the profession. To this end, we believe in the recruitment, motivation and retention of teachers who fulfil these criteria. We will strive to appoint suitably qualified non-academic staff that are dedicated to the support of the school and all its programmes. We believe in the upholding of traditional values that include good manners, fair play, sportsmanship, high moral standards, patriotism and integrity. We believe that successful education is a partnership between the home and the School. An atmosphere of openness, mutual trust and respect must exist amongst partners – parents, pupils and staff.